Visiting Trümmelbachfälle and Parasailing & Paragliding will get you outdoors. For shopping fun, head to UNESCO-Altstadt von Bern or Alpia Sport + Mode. Explore the numerous day-trip ideas around Interlaken: Schilthorn (in Murren) and Lauterbrunnen Valley Waterfalls (in Lauterbrunnen). There's still lots to do: take in the dramatic natural features at Aletsch Glacier, take in the awesome beauty at Harderkulm, and enjoy breathtaking views from Schynige Platte. For maps, traveler tips, and tourist information, go to the Interlaken trip itinerary planner. Philadelphia, USA to Interlaken is an approximately 14-hour flight. You'll lose 6 hours traveling from Philadelphia to Interlaken due to the time zone difference. Prepare for slightly colder weather when traveling from Philadelphia in August: high temperatures in Interlaken hover around 72°F and lows are around 54°F. Wrap up your sightseeing on the 18th (Fri) early enough to drive to Zurich. Relax by the water at Seebad Eich and Strandbad Tiefenbrunnen. 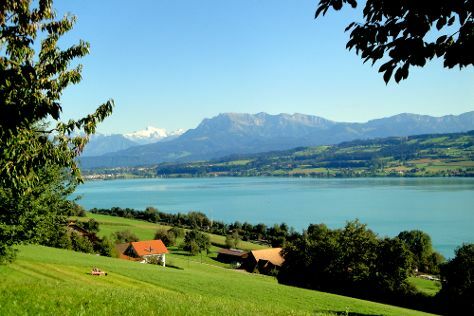 Escape the urban bustle at Lake Zurich and Mt Pilatus. Explore the numerous day-trip ideas around Zurich: Lucerne (Chapel Bridge (Kapellbrucke), Lake Lucerne, & more). There's more to do: get to know the fascinating history of Old Town (Altstadt) and look for gifts at Lindt Chocolate Shop Kilchberg. To find maps, where to stay, and other tourist information, refer to the Zurich itinerary maker. Getting from Interlaken to Zurich by car takes about 2 hours. Other options: take a train. In August, daytime highs in Zurich are 74°F, while nighttime lows are 57°F. Wrap up your sightseeing by early afternoon on the 21st (Mon) to allow enough time to travel to Paris. Do your shopping at Champs-Elysees and Le Marais. Escape the urban bustle at Île de la Cité and Ile Saint-Louis. The adventure continues: examine the collection at Musée d'Orsay, wander the streets of Saint Germain des Pres Quarter, enjoy breathtaking views from Eiffel Tower, and admire the landmark architecture of Dôme Sacre Coeur. 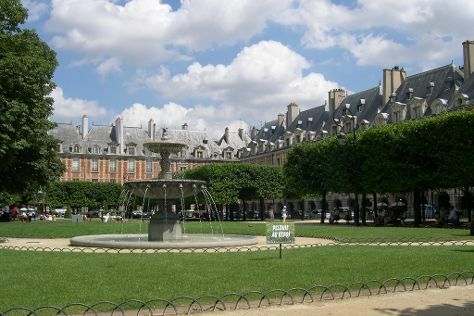 To see other places to visit, reviews, where to stay, and tourist information, refer to the Paris travel itinerary planner. Traveling by combination of flight and train from Zurich to Paris takes 4 hours. Alternatively, you can take a train; or drive. August in Paris sees daily highs of 76°F and lows of 57°F at night. Wrap up your sightseeing by early afternoon on the 25th (Fri) to allow enough time to travel to Munich. 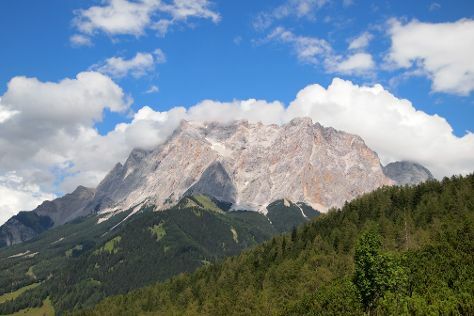 Step off the beaten path and head to Zugspitze and Biergarten Viktualienmarkt. You'll get in some beach time at Strandbad St. Alban and Roberto Beach. Take a break from Munich with a short trip to Schloss Hohenschwangau in Hohenschwangau, about 1h 35 min away. Next up on the itinerary: explore the activities along English Garden, don't miss a visit to Marienplatz, admire the striking features of Frauenkirche, and ponder the world of politics at Neues Rathaus. For other places to visit, photos, maps, and other tourist information, read our Munich vacation planner. You can do a combination of flight and train from Paris to Munich in 5 hours. Other options are to take a train; or drive. In August, daytime highs in Munich are 76°F, while nighttime lows are 54°F. Cap off your sightseeing on the 29th (Tue) early enough to travel back home.